My research has focused on the challenge of designing professional learning experiences for elementary mathematics teachers and teacher educators so that teachers’ classroom practices improve in ways that are productive for student learning, especially in high poverty settings. Central to this effort is understanding what is entailed in the work of teaching mathematics by eliciting and responding to children’s mathematical thinking in ways that advance the learning of key ideas in mathematics and cultivate productive disciplinary dispositions. I collaborate with a team of mathematics educators, practitioners, and leaders to design innovative professional learning experience that create vibrant intellectual communities for students and teachers. My teaching and research mutually inform each other. My time is divided between studying teacher learning and student learning. In classrooms, I attend to classroom discourse, students’ mathematical thinking, and students’ learning and identities. I use my work with children to inform my work with teachers in professional development settings. I hope to contribute to making schools engaging and welcoming places for children and educators alike. McDonald, M., Kazemi, E., Kelley-Petersen, M., Mikolasy, K., Thompson, J., Valencia, S., & Windschitl, M. (forthcoming). Practice makes practice: Learning to teach in teacher education. A theme issue of the Peabody Journal of Education. Fall, 2014. McDonald, M., Kazemi, E., & Kavanagh, S. (2013). Core practices and teacher education pedagogies: A call for a common language and collective activity. Journal of Teacher Education, 64, 378-386. Hintz, A., Kazemi, E., Granger, J., Lind, T., Lewis, R., Simpson, L., & Crandall, A. (2013). Innovations in improving mathematics instruction: One school's story of implementing job-embedded school-wide professional development. Washington State Kappan, 7(1), 7-11. Lampert, M., Franke, M., Kazemi, E., Ghousseini, H., Turrou, A.C., Beasley, H., Cunard, A., & Crowe, K. (2013). Keeping it complex: Using rehearsals to support novice teacher learning of ambitious teaching in elementary mathematics. Journal of Teacher Education, 64, 226-243. Elliott, R., Kazemi, E., Lesseig, K., Mumme, J., Carroll, C., & Kelley-Petersen, M. (2009). Conceptualizing the work of leading mathematical tasks in professional development. Journal of Teacher Education, 60, 364-379. Kazemi, E., & Hubbard, A. (2008). New directions for the design and study of professional development: Attending to the coevolution of teachers’ participation across contexts. Journal of Teacher Education, 59, 428-441. Kazemi, E. (2008). School development as a means to improve mathematics teaching and learning: Towards multidirectional analyses of learning across contexts. In K. Krainer, & T. Wood (Vol. Eds.). Participants in mathematics teacher education: Individuals, teams, communities, and networks (pp. 209-230). In T. Wood (Series Ed. ), International handbook of mathematics teacher education: Vol.3. Rotterdam, The Netherlands: Sense Publishers. Kazemi, E., Lenges, A., Stimpson, G. (2008). Adapting cases from a Developing Mathematical Ideas seminar to closely examine the work of teaching. Association of Mathematics Teacher Education Monograph, 4, 21-33. Kazemi, E., & Elliott, R., Mumme, J., Carroll, C., & Hubbard, A. (2007, October). Doing mathematics in professional development: Theorizing leader learning with and through sociomathematical norms (pp. 796-803). In T. Lamberg, T. & L. R. Wiest (Eds. ), Proceedings of the annual meeting of the North American Chapter of the International Group for the Psychology of Mathematics Education, Stateline (Lake Tahoe), NV: University of Nevada, Reno. Kazemi, E., & Franke, M.L. (2004). Teacher learning in mathematics: Using student work to promote collective inquiry. Journal of Mathematics Teacher Education, 7, 203-235. Franke, M.L., & Kazemi, E. (2001). Learning to teach mathematics: Developing a focus on students’ mathematical thinking. Theory into Practice, 40, 102-109. Franke, M., Kazemi, E., Shih, J., Biagetti, S., & Battey, D. (2005). Changing teachers’ professional work in mathematics: One school’s journey. In T.A. Romberg,T.P. Carpenter, T. P., & F. Dremock (Eds.) Understanding mathematics and science matters (pp. 209-230). Mahwah, NJ: Erlbaum. Kazemi, E., & Hintz, A. (2014). Intentional talk: How to lead productive mathematical discussions. Portland, ME: Stenhouse. Dutro, E., Kazemi, E., Balf, R., Lin, Y. (2008). “What are you and where are you from?” Race, identity, and the vicissitudes of cultural relevance. Urban Education, 43, 269-300. Kazemi, E. (2008). On generating useable knowledge for teaching: A commentary. Journal for Research in Mathematics Education Monograph, 14, 173-184. Franke, M. L., Kazemi, E., & Battey, D. (2007). Understanding teaching and classroom practice in mathematics. In F. K. Lester (Ed. ), Second handbook of research on mathematics teaching and learning (pp. 225-256). Greenwich, CT: Information Age Publishers. Dutro, E., Kazemi, E., Balf, R. (2005). The aftermath of ‘you’re only half’: Multiracial identities in the literacy classroom. Language Arts, 83, 96-106. Kazemi, E. (2003). Classroom practices that support children’s mathematical ideas. In C. Howes (Ed.) Teaching 4- to 8-year olds: Literacy, math, multiculturalism, and classroom community (pp. 113-134). Baltimore, MD: Brookes. Kazemi, E. (2002). Exploring test performance in mathematics: The questions children’s answers raise. Journal of Mathematical Behavior, 21, 203-224. Kazemi, E., & Stipek, D. (2001). Promoting conceptual thinking in four upper-elementary mathematics classrooms. Elementary School Journal, 102, 59-80. Kazemi, E. (1998). Discourse that promotes conceptual understanding. Teaching Children Mathematics, 4, 410-414. LTP is a collaboration with colleagues at UCLA and the University of Michigan to redesign mathematics teacher preparation and development. We are experimenting with focusing teacher preparation on a suite of strategically designed and structured instructional activities that can help novices learn to teach ambitiously. Our teacher education courses will be designed around intense study, rehearsal, and enactment of these activities. We think that this focus will allow us to better support teacher learning of content, pedagogy, and children’s thinking towards the aim of engaging all students in authentic and rigorous mathematics instruction. Kazemi, E., Lampert, M., & Ghousseini, H. (2007). Conceptualizing and using routines of practice in mathematics teaching to advance professional education. Report to the Spencer Foundation, Chicago. In this NSF-funded project, I worked with with Rebekah Elliott at Oregan State University and Judy Mumme and Cathy Carroll at West Ed to think more purposefully about how professional educators learn to lead professional development (PD) with teachers. We were interested in what happens during PD when teachers do mathematics together and are supporting leaders to be more strategic in developing facilitation practices to develop teachers’ specialized mathematical knowledge. Kazemi, E., & Elliott, R., Mumme, J., Carroll, C., & Hubbard, A. (2007, October). Doing mathematics in professional developing: Theorizing leader learning with and through sociomathematical norms (pp. 796-803). In T. Lamberg, T. & L. R. Wiest (Eds. ), Proceedings of the annual meeting of the North American Chapter of the International Group for the Psychology of Mathematics Education, Stateline (Lake Tahoe), NV: University of Nevada, Reno. Elliott, R., & Kazemi, E. (2007, October). Researching mathematics leader learning: Investigating the mediation of math knowledge needed for teaching on leaders’ collective work in mathematics (pp. 819-826). In T. Lamberg, T. & L. R. Wiest (Eds. ), Proceedings of the annual meeting of the North American Chapter of the International Group for the Psychology of Mathematics Education, Stateline (Lake Tahoe), NV: University of Nevada, Reno. I worked with Elizabeth Dutro at UC Boulder and a public school teacher, Ruth Balf, to follow children in one fifth grade classroom across two years. Funded by a Royalty Research grant, this study examined how children are intellectually and socially positioned in the classroom across the subject areas of mathematics and literacy. We also examined questions about children’s competence and what is learned by examining their participation in classroom activities versus their performance on formal measures of achievement. The participating classroom was in an urban district and served racially and linguistically diverse children, including children who are often labeled “at risk” of failure in both of these subject areas. One of our goals in this project was to explore the resources that children bring to their work across these subject areas. This project has allowed me to continue to ask questions about mathematics instruction, while also broadening the focus of questions to include children’s multiple identities and how those “ways of being” in classrooms impact children’s success in school, both academically and socially. Kazemi, E., & Dutro, E. (2002, October). Stories Count: Children’s experiences across mathematics and literacy. Proceedings of the biannual meeting of the International Conference of the Learning Sciences, Seattle, WA. My dissertation examined how teachers’ professional inquiry outside of the classroom was linked to their learning inside the classroom and to opportunities for school change. I used multiple-case methodology to analyze teachers’ joint work in one urban elementary school as they discussed their own students’ work. Much is being said now about using artifacts of practice, such as student work, to organize professional development. The use of student work has the potential to influence professional discourse about teaching and learning, to engage teachers in a cycle of experimentation and reflection and to shift teachers’ focus from one of general pedagogy to one that is particularly connected to their own students. Whether these opportunities are realized depends on the actual use of student work in professional activity. However, as several recent reviews of professional development have repeatedly noted, the research on professional development lacks empirical data on how teachers engage in collective inquiry and what impact it has on their learning. The findings emerging from this work include: (1) teacher learning is enhanced when teachers learn to pay attention to the details of their students’ thinking, (2) the study of student work enables teachers to deepen both their subject matter knowledge and to improve their classroom practice, and (3) teachers’ classroom practice develops more substantially when their classroom experimentation is closely coupled to their engagement in professional development. Kazemi, E., & Franke, M.L. (2003). Using student work to support professional development in elementary mathematics. Center for the Study of Teaching and Policy, Working Paper, Seattle, WA. In this presentation, I talk about how families and early childhood educators can support young children's interest and knowledge in early numeracy skills. Informal and formal learning opportunities in early childhood mathematics abound. This talk describes how to identify mathematical activity in everyday experiences and turn them into genuine math experiences. I show many examples of what doing mathematics means, the importance of working on early counting and problem solving skills. I also explore connections between mathematics and early literacy. The Mathematics Education Project (MEP) is the outgrowth of three projects funded by the National Science Foundation—CCML (Creating a Community of Mathematics Learners), ECML (Expanding a Community of Mathematics Learners) and SOAR (Strategic organization, assistance and resources) for Washington mathematics. 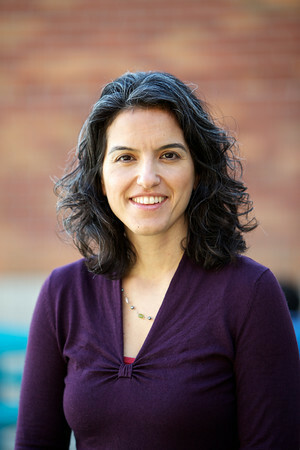 Through these projects, a community of educators from schools and the University of Washington gained extensive knowledge of research-based professional development resources, the art of facilitation, teacher leadership development, strategies for working with administrators and parents, and factors that contribute to sustainability of change. Through the MEP, this mathematics community intends to reach out to other communities in the state and region. These two courses are the mathematics methods preparation of preservice teachers in our Elementary Teacher Education Program. Coursework centers on children’s thinking in mathematics and classroom practices that support and develop children’s thinking. We will focus on developing frameworks that will enable novice teachers to make sense of children’s strategies for solving problems that involve operating with whole numbers. We will investigate what it means for children to understand place value, the structure of our base 10 number system, and the meaning of the four operations. Our goal for those big mathematical ideas is to understand how tasks and classroom practices can be structured to elicit student thinking and how the learning environment can support the development of students’ mathematical ideas. In particular, novice teachers will learn how to use particular instructional routines and lessons in your classroom to help children develop their computational fluency. As the emphasis in mathematics classrooms shifts to activities in which students engage in deeper mathematical inquiries, the question arises, for both teachers and researchers: How do we describe students’ mathematical ideas in ways that both respect how students experience these ideas and retain the connection of these ideas to mathematics as a discipline? Put more directly, as we push beyond a mathematics of procedures and memorization, what does it look like to do genuine mathematics in the classroom? Once it is granted that this mathematics will be different from what teachers have been traditionally taught, other questions also arise, such as: How does a teacher use students’ mathematical ideas in the classroom? How is curriculum structured to develop students’ mathematical ideas? The work of the seminar will consist of close readings of a small number of critical works in mathematics education, examination of artifacts of practice, such as videos of classroom instruction showcasing students’ mathematical thinking, and seminar discussions on the above questions built around these materials. Researchers from diverse disciplinary perspectives have focused on the problem of school change. Many researchers examine what’s wrong with schools, reacting to an increasing level of public resentment towards schools. Others attempt to explain why reforms fail to carry out the dramatic transformations in classroom practices they were intended to. Still others situate change historically and demonstrate the wide number of reforms that have substantively changed the practice of schooling over the past century. While some analyze systemic, political or organizational barriers to change, others place themselves inside the classrooms walls and document the changes that teachers face as they transform their pedagogical practices. How then can we understand both change and constancy in teaching and schooling? This course will explore how researchers from diverse perspectives understand what enables teachers and schools to change or transform themselves. The course will begin with readings that provide an historical view on teachers’ work and school change through professional community. We will then study the literature that focuses on individual teachers’ learning within their classrooms. That set of studies will be contrasted with work that focuses more on school level change. The literatures on teacher learning and school change have developed largely without reference to the other. We will examine the ways in which these traditions can inform each other to expand and enrich our understanding of learning and change. The course readings will reflect a variety of content domains such as mathematics, literacy, science, and social studies.